The Greek word “graphein” means both “to write and “to draw.” As calligraphers, we can enhance our visual perceptions by looking at the basic elements of drawing, such as contour, gesture, value and perspective. Using letterforms as our subject, we can practice these essential drawing skills. I will describe and show examples of a series of exercises designed to increase our ability to “see” as well as to improve technical and compositional skills. Together,we’ll expand our creative horizons. Inga Dubay’s work encompasses calligraphy, painting, drawing and printmaking. A Painting and Drawing major at Mills College and the University of Oregon with graduate study for two years at the Art Academy in Oslo, Norway, she did further study at the University of Oregon, UC Berkeley, and the Oregon College of Art & Craft, where she taught for twenty-five years. She designed and taught for over ten years a Drawing, Watercolor & Calligraphy course to introduce drawing skills through letterforms to calligraphers. She is coauthor of Write Now: The Getty-Dubay Program for Handwiring Success, italic letters: Calligraphy & Handwriting, Getty-Dubay Italic Handwriting Series and author of Getty-Dubay Italic Calligraphy: for School & Home. Dubay and Getty have presented over 170 handwriting seminars for medical professionals and numerous workshops for the public. 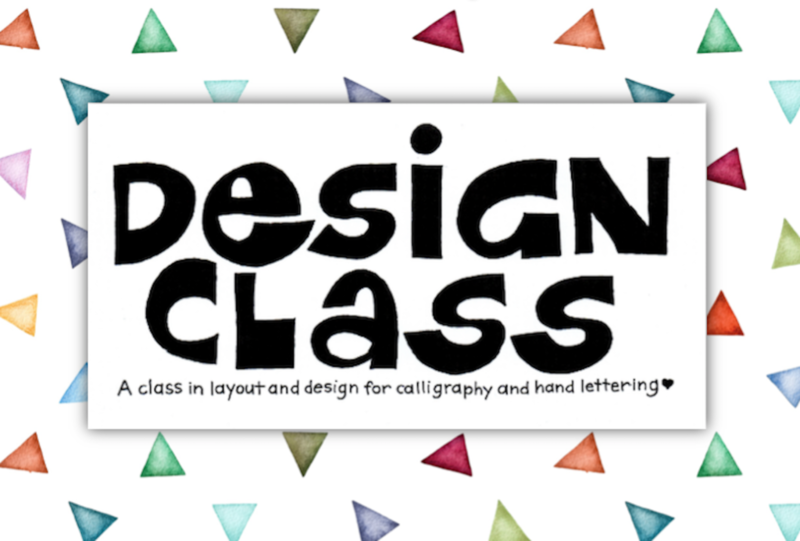 Cora Pearl has been teaching classes in Design for Lettering Art for the last four years. Topics of her year-long classes have included weekly general classes in design and the creative mindset, The Principles of Design for Lettering Art, The Elements of Design for Lettering Art, and Design for Lettering Art with a Focus on Color. In this presentation, Cora will share how and why these classes came about, why the study of design is important for lettering artists, and will give a short introduction to the elements and principles of design. Several of her students will show their work and talk about their experiences of studying design. Cora Pearl started studying calligraphy at age 11 and has been doing calligraphy and hand lettering ever since. She has a BA in Art and Art History from Oberlin College. 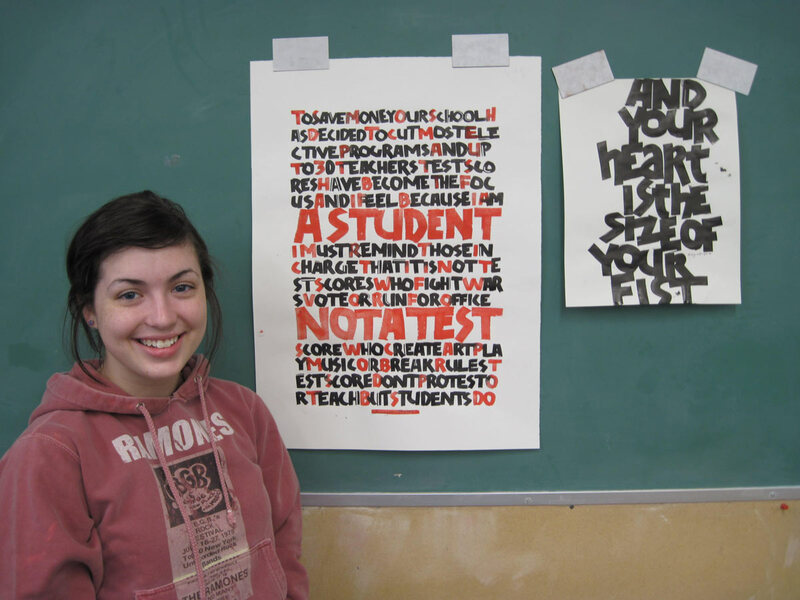 Cora works as a full-time calligrapher and teacher of lettering arts. She teaches full credit calligraphy and hand lettering courses at Portland Community College and teaches independent workshops, classes and private sessions, including year-long courses in Design for Lettering Art. She has taught at several calligraphy conferences including Letters of Joy, IAMPETH, Letterfest, Typecon, the International Calligraphy Conference, and Letters California Style. Cora also does calligraphy commissions in addition to her teaching. Many of you know Insular Majuscule (often called Insular Half-Uncial) as the script used in the Book of Kells. This is a night for admiring the beauty of these letters, discussing what makes them so gorgeous, and trying out some strategies for writing them. 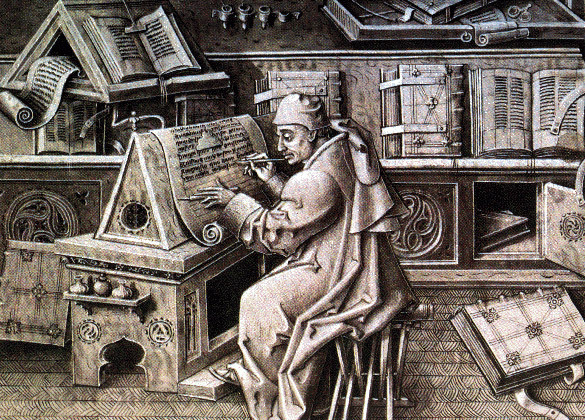 We will be focusing solely on the letters, not the manuscript decorations. Bring a Mitchell size 1 nib if you have one. If not, a Brause 3, a Speedball C-2, or a 3 mm Pilot Parallel Pen (with the green cap) will work just fine. (Bonus points for anyone who can bring a 3 mm quill, which would be the ideal tool.) Bring your favorite paper and ink to work with. Guidelines on letter-size paper will be provided. 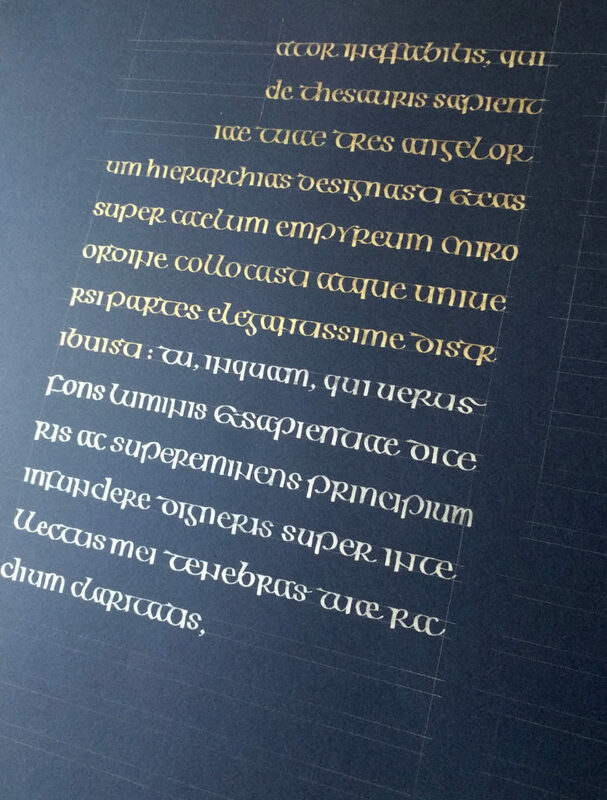 I will also share some of my personal work using Insular Majuscule and Uncial variations. I can’t promise that we will learn the whole alphabet—this is just an evening for appreciating and starting to get to know an intricate and satisfying medieval hand. Stephanie Byrd has been studying calligraphy for eight years. 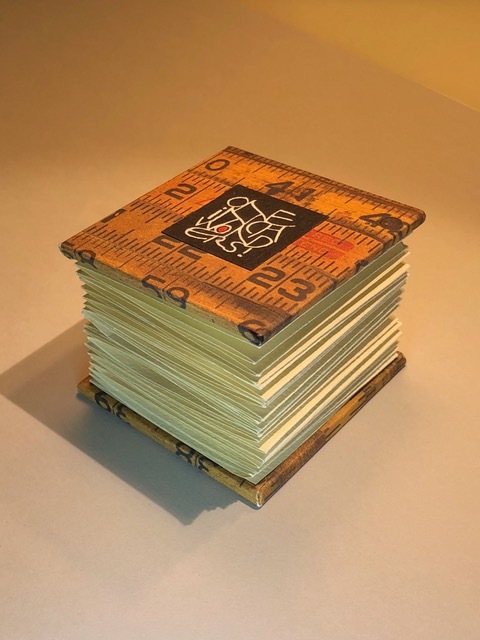 In addition to studying with our amazing local teachers such as Carol DuBosch and Christine Colasurdo, she has studied at Cheerio with John Stevens and at international calligraphy conferences with Sheila Waters, Julian Waters, Denis Brown, and Carl Rohrs. She has served on the board of the Portland Society for Calligraphy for four years, including two years as chair of the communications committee. When life as a mother of two wild monkeys permits her, she works as a freelance graphic designer and takes just about every calligraphy workshop she can find the time for. 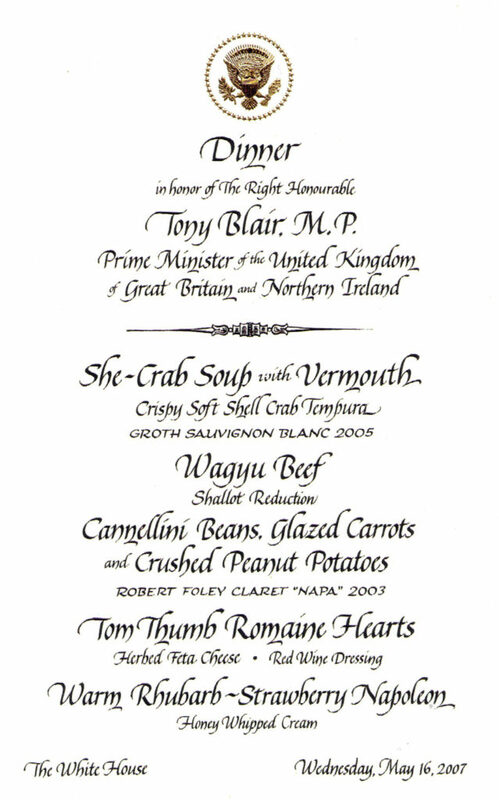 We are excited and proud to feature Pat Blair, former White House Calligrapher, as our guest speaker at our February Member Meeting. She will share slides that show the planning, production and design of all the invitations, menus, and programs for Presidential events. Her presentation will also trace the history of the calligraphy office. Please make note that this meeting will not take place on our typical Monday night slot. 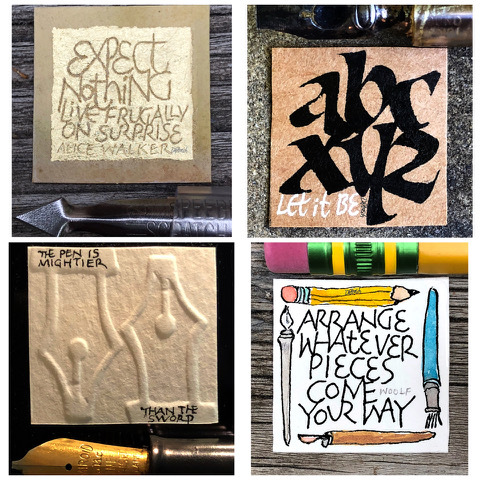 Please join us for “One-Inch Wonders”, a presentation by Carol DuBosch about her adventures making tiny pieces of lettering art. From Carol: “If someone told me that I would spend 6 weeks this past summer making tiny artwork, I wouldn’t have believed it. Yet, that’s exactly what I was happily busy doing. The challenge of making art that is 1” square kept me engaged throughout the process of creating 36 tiny pieces of calligraphy. I learned so much about working small that I will take into all the work I do. I also learned which of my tools to turn to for the “inchies”. Carol will share the original one-inch artwork, along with a Power Point presentation that will show the artwork in more detail. She will also bring the various tools that she found handy. Please join us for an evening with Maria Galati, David Douglas High School art and calligraphy teacher extraordinaire. In her 20th year at David Douglas, Maria is one of a handful of teachers in the state including calligraphy in their curriculum. This year, 83 of her students entered 92 works of art in the Oregon Art Annual at the State Fair. Do you remember being in Kindergarten and being so excited to share something with the rest of your class? So excited, in fact, that you couldn’t keep it to yourself? 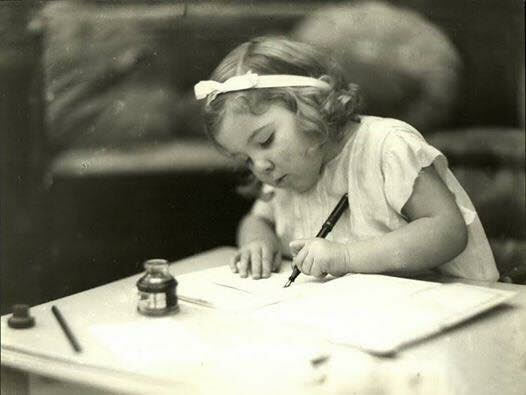 Fast forward to this year…have you taken a calligraphic or art related class or workshop lately? Did you learn and apply a new skill? Enjoy a new tool or product? That’s what our “Show and Share” is all about. It gives you 4 minutes to brag about your accomplishment and share it with people who can truly appreciate the time and effort you put into your project. It’s your time to shine, to give you an opportunity in the spotlight! Or simply display your work to encourage others. Many of our members attended Seattletters and will be sharing their experiences and work. Tables will be provided to display all our wonderful successes. 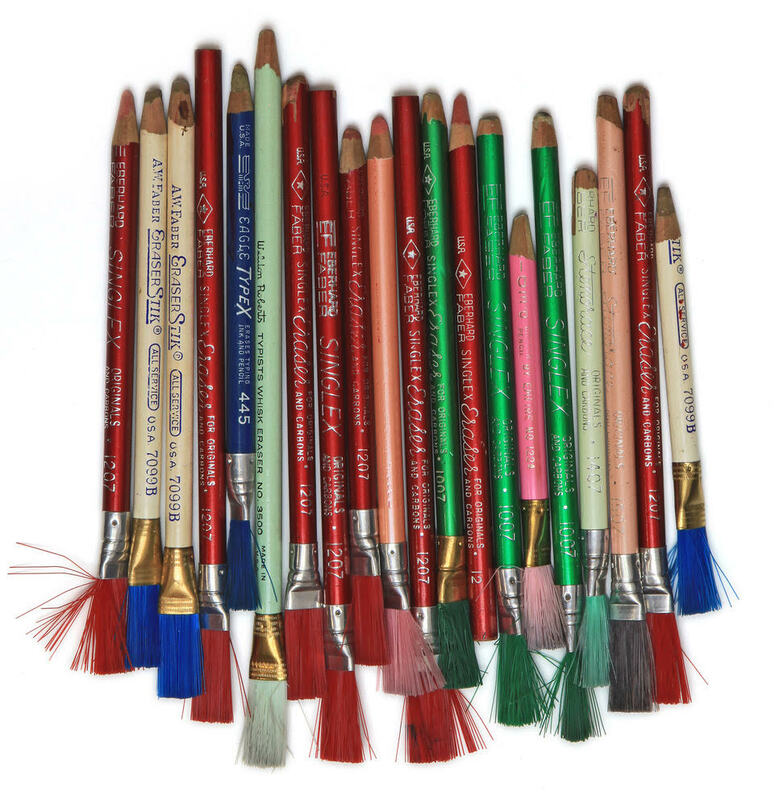 Colored pencil artist and calligrapher Ellen White will lead us in a hands-on program with tips and tricks for the use of colored pencils as we explore decorated letters. We’ll supply different kinds of paper for people to try (with an image already on it), as well as some tools for blending that members can try, such as Gamsol, colorless blender, and dry brush. 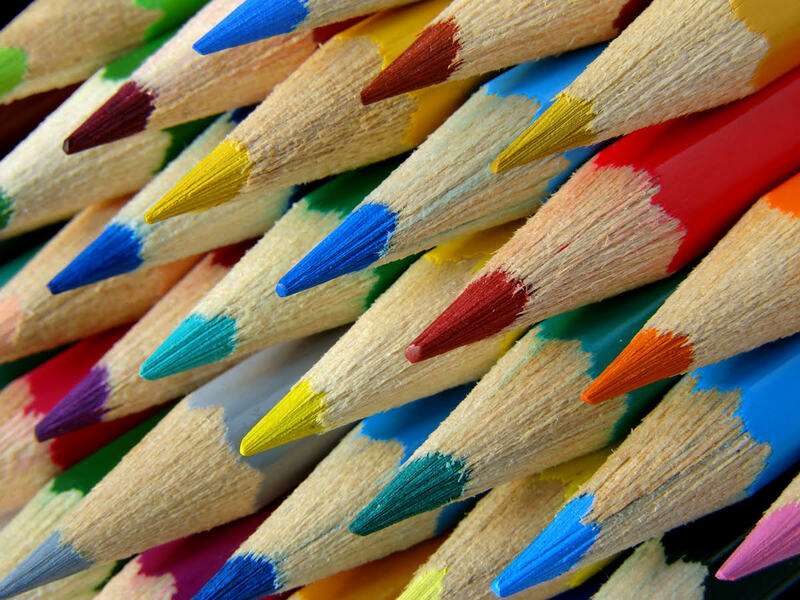 Please bring a selection of your favorite colored pencils and watercolor pencils, and a small, flat brush. You can take a quick look at Ellen’s portfolio of colored pencil pet portraits here. 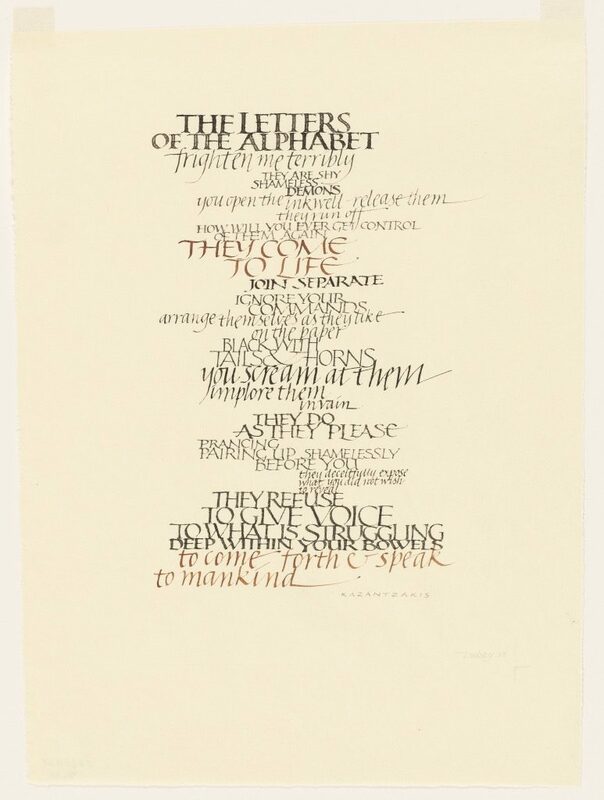 Don’t miss the special half-hour before the program (6:30–7:00 pm) with intriguing demonstrations of offhand flourishing, spirals, and half-uncial. Join us for a panel presentation by 7 artists/students who have conquered their fears and completed framed artwork. The artists will share inspirations, sketches, drafts, and all of the learning each one acquired on the way to finishing their final projects. This is a chance to see the art being made behind the curtains backstage. We all share so many of the same fears and motivation issues, that it will be great to hear the stories of the 7 artists/students and see their beautiful work. A longtime charter member of PSC died recently, and her family has generously passed her calligraphy books along to our group. The books will be at the May meeting, and each PSC member will be invited to choose one to add to their personal library. We will have copies of Weathergrams: Book Two by Lloyd J. Reynolds for sale at the May meeting for $5 each. This small booklet was compiled as a supplement to Reynold’s Weathergrams and hasn’t been available recently. JoAnn Pari-Mueller will be bringing fabulous old and new postage stamps to give away to PSC members. Please bring a gallon-size bag or lunch bag to fill up with beautiful stamps from all over the world. Join us for an evening of sharing! Favorites. We all have them, be it a book, a script, a tool, a special trick or tip, a unique paper, one of your own special creations, a workshop, words, etc. Our members are our lifeblood, our tribe. We are asking you to come and share one or two ideas, creations, or anything you find fun and satisfying. The list above is just a starting point. We hope this will be a celebration of our broad base of interests and talents. Come ready to inspire and be inspired!